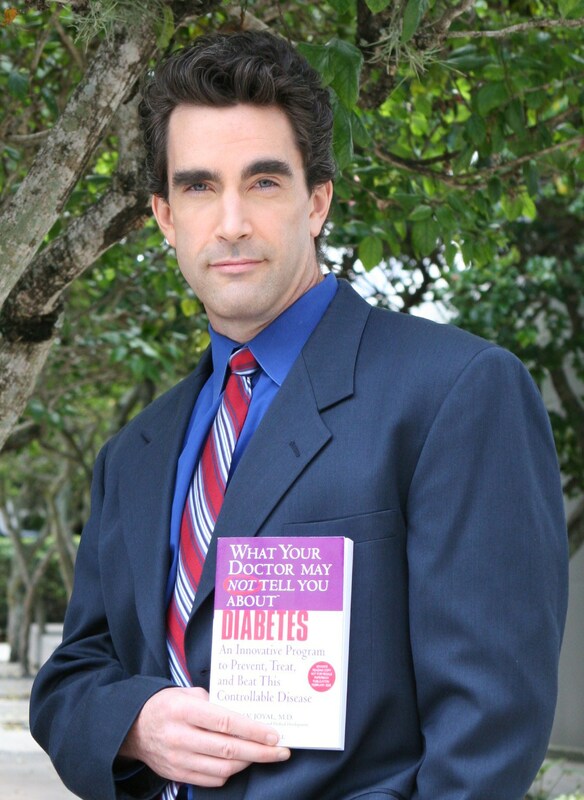 We are in the midst of a deadly epidemic of metabolic disease. As our waistlines bulge ever wider, our blood sugar levels rocket upwards, far past 90 mg/dL, the upper limit of the healthy blood sugar range. Delicious cinnamon, that versatile and amazingly aromatic spice, offers impressive health benefits apart from culinary use. Scientific research clearly shows that in addition to weight loss and exercise, phytonutrients from cinnamon can help support healthy blood sugar levels in several different ways. A staple of traditional Ayurvedic medicine, cinnamon is native to tropical southern India and Sri Lanka. One of the world’s most versatile spices, cinnamon flavors everything from oatmeal and apple cider to spiced cappuccino. Impressive new research reveals that regular use of cinnamon can promote healthy blood sugar metabolism. A study performed at the US Department of Agriculture’s Beltsville Human Nutrition Research Center isolated specific water-soluble compounds in cinnamon spice that help prevent metabolic defects associated with diabetes. Three water-soluble chemicals called polyphenol polymers were found to have beneficial biological activity, boosting glucose metabolism by roughly 20-fold in experiments. Scientists at Iowa State University determined that these polyphenol polymers are able to boost the expression of genes involved in blood sugar metabolism, facilitating blood sugar uptake into cells and lowering blood sugar levels. Other experimental studies show the benefit of cinnamon at helping to counteract the damaging effects of a diet high in the simple sugar fructose, found in high fructose corn syrup (HFCS). Because the risk of cardiovascular disease is increased up to four-fold in type II diabetes, natural nutrients that simultaneously improve blood suagr metabolism and cholesterol levels offer great protection. Controlling blood sugar levels is a challenging but crucial aspect of diabetes management, because poorly controlled blood sugar is associated with an increased risk for complications of the disease. When 79 patients with type II diabetes took cinnamon extract supplements three times daily for four months, their fasting blood sugar levels dropped by an impressive 10.3%. Furthermore, people who had higher initial blood sugar levels benefited even more from cinnamon supplementation. In a human clinical study published in Diabetes Care, cinnamon proved to be a dual-action agent. Sixty adults (30 men, 30 women) with type II diabetes were divided into six groups. The first three groups consumed one, three, or six grams of cinnamon daily, while the other three groups consumed equivalent numbers of placebo capsules. About one gram of ground cinnamon is found in ¼ to ½ teaspoon. The spice or placebo was consumed for a 40-day period, followed by a 20-day washout period. 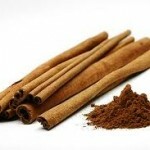 After the initial 40-day period, all three dose levels of cinnamon reduced fasting serum blood sugar levels by 18-29%. The one-gram cinnamon dose also reduced triglyceride levels by 18%, low-density lipoprotein (LDL) by 7%, and total cholesterol by 12%. 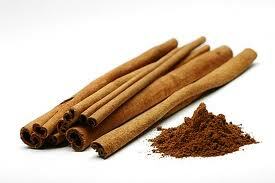 Higher doses of cinnamon produced even greater reductions in triglycerides, LDL, and total cholesterol. Even better, these decreases persisted throughout the 20-day washout period. While glucose and triglyceride levels increased modestly during the washout period compared to day-40 levels, they remained below the levels recorded before cinnamon supplementation began. Meanwhile, LDL and total cholesterol levels continued to decline throughout the 20-day period after cinnamon use stopped. This study suggests that cinnamon has sustained effects, so the benefits should continue even if a dose is occasionally missed. So spice up your life with cinnamon – your blood sugar level will thank you for it! A fun way to add cinnamon into your daily health regimen for the coffee addicts among us (you know who you are!) is to add approximately ¼ to ½ teaspoon of ground cinnamon daily to fresh ground coffee before brewing. The hot water helps to liberate the water-soluble compounds in cinnamon responsible for the remarkable blood sugar benefits of this spice. In addition, the combination of coffee and cinnamon is terrific for helping to support healthy blood sugar levels. A very large study (14,629 men and women) published in the Journal of the American Medical Association showed that the greater your coffee consumption, the lower your risk of metabolic disease, including type II diabetes mellitus. Another very large study that followed 41,934 men showed a similarly powerful association between increased coffee intake and decreased risk of type II diabetes, even after adjusting for age, body mass index, and other risk factors. Research shows that certain chemicals found naturally in coffee helps support blood sugar levels by boosting the level of a key gut-derived hormone called GLP-1. Anderson RA, Broadhurst CL, Polansky MM, et al. Isolation and characterization of polyphenol type-A polymers from cinnamon with insulin-like biological activity. J Agric Food Chem. 2004 Jan 14;52(1):65-70. Imparl-Radosevich J, Deas S, Polansky MM, et al. Regulation of PTP-1 and insulin receptor kinase by fractions from cinnamon: implications for cinnamon regulation of insulin signaling. Horm Res. 1998 Sep;50(3):177-82. Qin B, Nagasaki M, Ren M, Bajotto G, Oshida Y, Sato Y. Cinnamon extract prevents the insulin resistance induced by a high-fructose diet. Horm Metab Res. 2004 Feb;36(2):119-25. Khan A, Safdar M, Muzaffar Ali Khan M, Nawak Khattak K, Anderson RA. Cinnamon improves glucose and lipids of people with type 2 diabetes. Diabetes Care. 2003 Dec;26(12):3215-8. Salazar-Martinez E, Willett WC, Ascherio A, et al. Coffee consumption and risk for type 2 diabetes mellitus. Ann Intern Med. 2004 Jan 6;140(1):1-8. Johnston KL, Clifford MN, Morgan LM. Coffee acutely modifies gastrointestinal hormone secretion and glucose tolerance in humans: glycemic effects of chlorogenic acid and caffeine. Am J Clin Nutr. 2003 Oct;78(4):728-33. Steven V. Joyal, MD is Vice President of Scientific and Medical Affairs at the Life Extension Foundation, Inc. dedicated to extending and enhancing human life. Prior to joining Life Extension, Dr. Joyal was employed by Bristol-Myers Squibb in global clinical cardiovascular-metabolic drug development including obesity, diabetes, and hyperlipidemia. Before joining Bristol-Myers Squibb, Dr. Joyal worked at Abbott Labs/ Knoll Pharmaceutical Company on Meridia®, one of only two FDA-approved long-term weight loss medications. Preceding his leadership responsibilities in industry, Dr. Joyal was in clinical practice in Rhode Island, and he was affiliated with Brown University and Women & Infants Hospital, managing the Internal Medicine service at Butler Hospital and helping to guide member care at the Care New England Wellness Centers in Warwick and East Providence. Dr. Joyal is a graduate of the Dartmouth/ Brown program in medical education, and he was board-certified in Internal Medicine in 1997. His undergraduate degree is in Physics, and while an undergraduate he was awarded membership in Sigma Pi Sigma (national collegiate honor society for physics) and a research grant at Brookhaven National Laboratory on Long Island. Click here for more on Dr. Joyal.